The concept of vision boards has been around for years; I actually started researching this concept years ago. 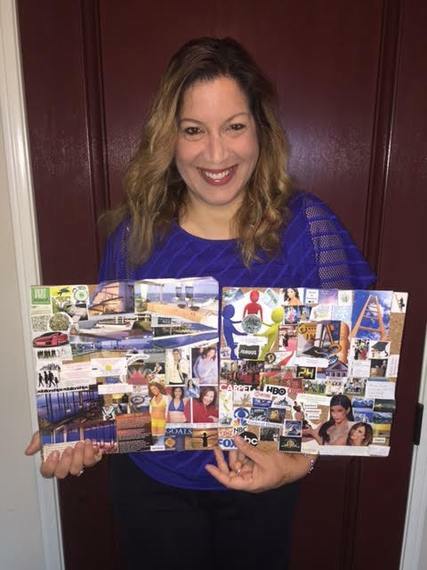 As a living testimonial, I was able to accomplish 80% of my goals for my life and business that I place on my vision board including my husband. Most people have a hard time creating a life plan or business plan and a hard time believing in the success of accomplishing their goals, but this visual process will give you the motivation you need to go after "What's been holding you back." These ladies are making a difference in their destiny by using a simple tool called creative visualization. Meet Sonia Satra: She is an American actress. She is known for her roles on Guiding Light and One Life to Live. 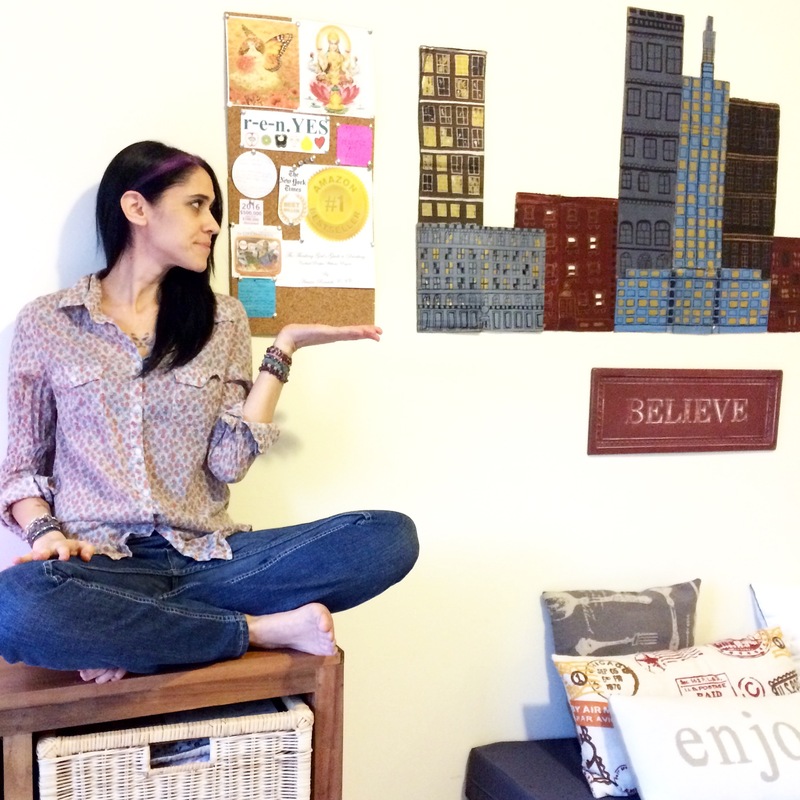 What prompted you to create your first vision board? My first board was very simple. It was just a board with red wrapping paper on it, with about 20 words pasted on it--not even pictures, just words. At the time, I was about to start a very intense and serious story line in Guiding Light. I was nervous, and I really wanted to do a good job because I knew it would impact a lot of people, and it meant a lot to me. So I made the vision board with that in mind, thinking, "This is how I want this story line to go; this is how I want to reach this goal." As the show aired, there was a lot of press in soap magazines about it. I did actually do a good job on it--and over the course of the next three months, all of the words I'd used on the vision board showed up in magazine articles about me. That was really amazing. Why do you believe others should create a vision board? It's such a powerful tool. I've been surprised every single time I've made a vision board, by the things that have come into fruition from it. Like, with that first vision board I ever made, it was so rudimentary that I didn't think anything would come from it. But then all those magazine articles came out, using each and every word I'd put on my board--to me that was really powerful. I'd reached the goal I'd set for myself. Another example was one vision board I did years ago. Down in its bottom center, it had a section about health and wellness. A woman I worked with at the time, a heart math instructor, saw it and said, "Wow, this area has so much energy." The pictures and the words in that section formed this shape, an almost-elliptical, vortex shape, and the coloring was all blues, oranges and yellows--which is now what the Moticise logo looks like. And all those things on that part of the board-- mind, body, exercise, mindset, soul--are what Moticise is about. Even though that vision board was done years ago, I wasn't even thinking about Moticise at the time. 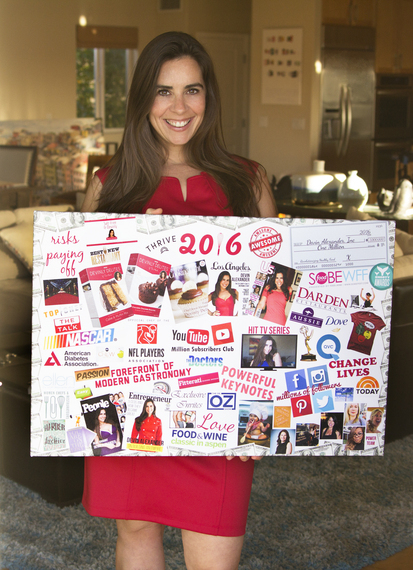 "Making a vision board is about what your heart, gut and soul want and desire. What you want and desire. It's a fun and powerful way to tap into what's calling you, and how it's calling you to show up and achieve those things." Life is too short! I know from experience. I have been through so many near death experiences (one just last year!). You have to take advantage of every moment. So why waste a minute when you could be living out your dreams. I feel when you have a dream and break it down it to SMART goals and actionable steps you can accomplish these dreams! A vision board helps you keep on track and gets you to see every day the pictures you are striving for. What was the most awesome accomplishment you seen come to fruition as a result of your vision board? a. I landed a role as a recurring nurse on General Hospital. It has been my dream since I was 12 years old. I was motivated by Rick Springfield. Not only do I know Rick through various times I have met him but he kept encouraging me to go for my dream. I did all the necessary steps to pursue this goal. Besides my vision board I even got a license plate GH2B to encourage me to go for my dreams. Two days after my license plate arrived in the mail, I landed my first under 5 on the show! b. I won a national beauty pageant - I was Mrs. Corporate America from 2009-2010. After competing in over 10 pageants, I won my national title! c. Earned my doctorate in business focused on Entrepreneurship. It was a long difficult 7 year process as well as very expensive but I did it! e. Public Speak at a Conference to inspire women - I got asked in April 2016 to speak at the Women in Business Conference in Tuscon, AZ! Which I am very excited about! f. I have also had wins like: being on numerous TV shows, movies, commercials, etc. Meet Devin Alexander: an American New York Times Bestselling cookbook author and media personality. She is the Host of Healthy Decadence on Fit TV. I have been doing them for at least 15 years. I used to think they were "out there" and then someone who swore by them shared that the reason you should make one is they create a regular and present reminder of what you dream about. It was explained like this, "We, especially as women, often don't notice cars on the road. But then if we decide to buy a specific car, suddenly we see that car "everywhere". When it's on your mind, you notice it. So creating a vision board, has the effect of picking out the car. You can see what you want when it crosses your path when you're clear about what you want. 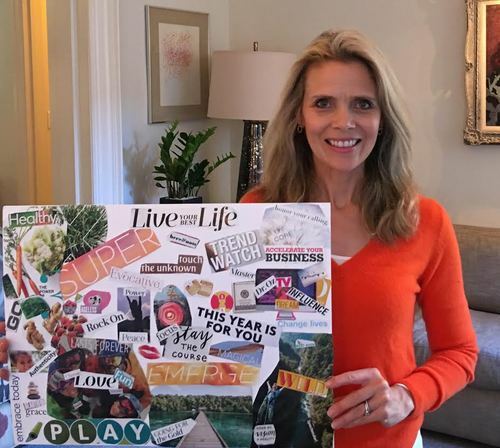 How do you use your vision board? I actually do a personal and a professional one. The professional one is created by my entire team before the 1st of every year and hangs in the team office. We discuss, as a group, our goals for the business, and I have each team member share their individual goals for us, including areas they'd like to grow into. I think the team board really creates a sense of unity and helps each team member feel the integral nature of their role, while helping me create longevity. I get excited about helping everyone grow in the direction they want...and they feel more appreciated than they otherwise might. My personal one hangs in my bedroom in a discreet spot. I honestly put less work into the personal...and have had less success in my personal life. Coincidence?!?!? Meet Ariane Resnick: Author of bestseller The Bone Broth Miracle. Special diet private celebrity chef & nutritionist. I put goals and dreams on it, such as books I want to write and TV shows I want to host. I also put written affirmations on it, and images that I feel help me, like Lakshmi (the Goddess of grace and prosperity). I look at the board daily and visualize everything I'm hoping for panning out. How often do you update your board? Whenever I get a new idea, or decide against an old one. I'd say quarterly on average. It's such a simple, straightforward way to achieve your goals. You put out the intention, and then the world really does give you what you asked for provided it's in line with your highest path. For me, I feel I'm on the planet to help others feel better. The more people whose spirits I can raise, the better. So my focus is on growing my voice, enabling me to make the greatest pint of people out there feel better in their lives. I put out the intention of that, and opportunities literally fall out of the sky into my lap.